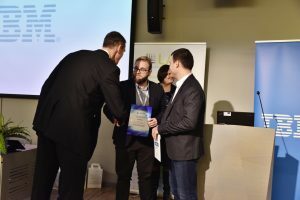 This February Latvian Open Technology Association held their annual award giving ceremony, celebrating the institutions that promote the usage of open data in Latvia, where one of the nominees was SDI4Apps partner from Latvia – Vidzeme Planning Region (VPR). VPR received certificate of recognition for its involvement in the SDI4Apps project. VPR has led the social validation work package and promoted the usage of open data to a broader public on the regional level, by organising the conference “Open Data for Regional Development”. 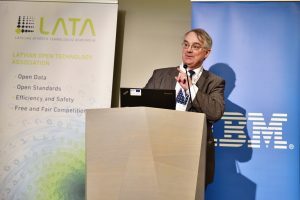 The award ceremony was organised within the Latvian Open Technology Association conference “Open Technology for Growth”, that included a key speaker who also represented SDI4Apps consortium – Dr. John O’Flaherty, Technical Director of MAC Ltd (Ireland), one of the project SDI4Apps partners. He shared the Ireland’s experience in geospatial linked open data business opportunities and introduced one of the SDI4Apps pilot applications – Easy Data Access. Conference “Open Technology for Growth” featured new solutions and trends in open data usage in Latvia and other European countries. The conference received endorsement from the President of Latvia, the Prime Minister of Latvia and from the Minister of Environmental Protection and Regional Development. 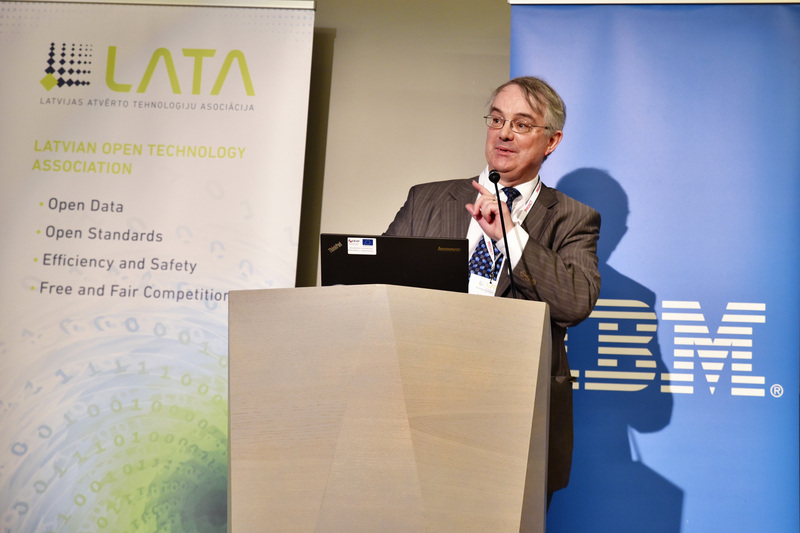 Conference featured presentations from several Latvian ICT companies, working with open data solutions and from international companies, such as IBM.